Discuss the latest research, present before an international audience in a supportive environment, network, engage and build relationships and experience Asia. 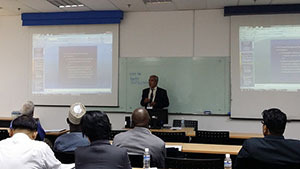 The Global Conference on Business Management (GCBM) 2015, organised by Aventis School of M anagement will be held on the 17-18 August 2015 in Singapore. 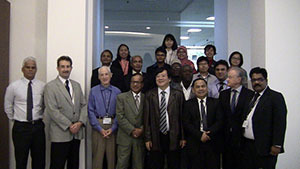 GCBM 2015 intends to serve as an ideal platform for a global audience of academics, researchers, and scholars to present their research work and/or on-going research activities in the field of Business Management; industrialists, policy-makers, practitioners and entrepreneurs to improve their research and development and business applications, to gain more knowledge of the challenges of global businesses, global business strategies and best practices. ►The Conference Proceedings will be published with World Scientific Publishing. We believe firmly in wide discovery and indexing of our publications. The Conference proceedings will be submitted to Amazon Search Inside the Book, ISI Book Citation Index, OCLC, EBSCOHOST, China National Knowledge Infrastructure (CNKI), Thomson Reuters Conference Proceedings Citation Index where applicable. ►World Scientific Publishing is one of the few publishers with direct partnership with Google to assure your book, including contents, can be easily searched and found from the internet. What can you expect at 2015 GCBM? We make a concerted effort to provide participants with ample opportunities to interact and seek new directions in the broad area of Business Management.